Will exit poll results for Gujarat Assembly election 2017 can go wrong? Finally tomorrow, we will get the final results of Gujarat Assembly Election 2012. On the 14th Dec, we get numbers of exit poll results for the Gujarat Assembly election and they all predicted win for BJP. As per these exit polls of various agencies, BJP is likely to get 98 to 140 seats in Gujarat and on the other hand, Congress might not succeed in the election despite increases vote share. 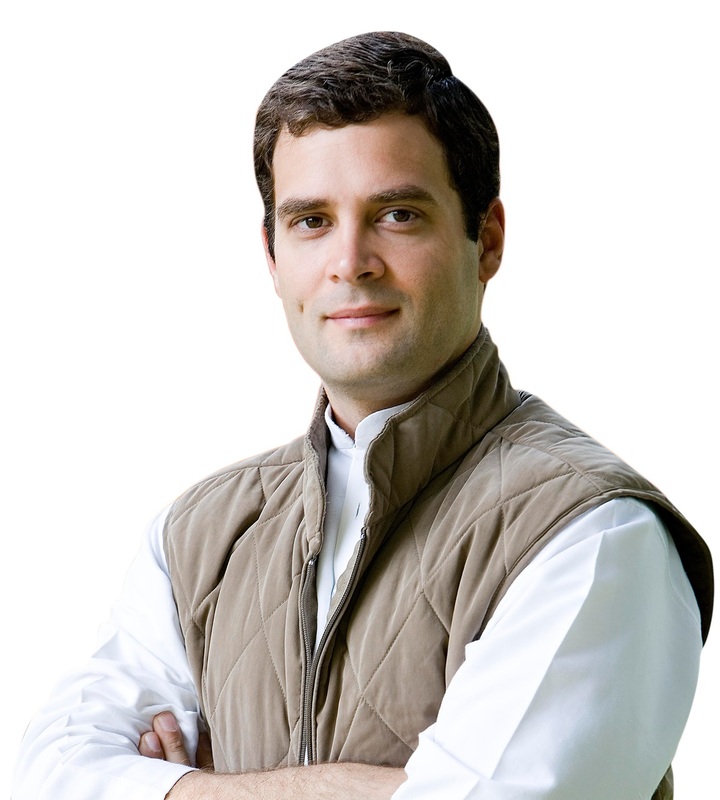 However, there are some surveys and opinion polls which put Congress as the winner in Gujarat. Therefore, we can say that there are some chances of slight up and down in Gujarat Election. Tomorrow within few hours, we will have a clear picture in front of us. Now, it is to be seen that we see a tough fight or a one-sided battle in Gujarat. The results of Gujarat Assembly Election 2017 are awaited by people across India because everyone wants to know who will emerge as a winner in these elections. The interest of people in Gujarat Assembly election has increased many times because of our prime minister Narendra Modi who comes from Gujarat and was earlier Chief Minister of state. This time again BJP is fighting these elections in the name of Modi. The main battle in Gujarat Assembly elections is between BJP and Congress. Rahul Gandhi has put all his energy and efforts to win these elections and he hopes to finish 22 years of exile of Congress from Gujarat government. Moreover, BJP is also worried about the three young leaders, Hardik, Alpesh, and Jignesh, who can dent vote bank of BJP. Though, we will get our final answers on 18 Dec when final results will come but we can get some idea on 14th Dec when most of exit poll results will be available in front of us. Now, we have all the exit poll results from various news agencies. All these exit polls are pointing to the victory of BJP in Gujarat. Earlier, it was expected that Congress might give a tough fight to BJP; however, all exit polls are pointing at a comfortable win for BJP. Who wil win in Gujarat Assembly Election 2017? At present, the question who will win Gujarat Assembly election 2017 is asked everywhere because everyone wants to know the answer. This time the situation in Gujarat has become very interesting because BJP is getting a tough competition from Congress for the first time. In Gujarat, the main political fight is only between BJP and Congress. BJP is in power in Gujarat for the last 22 years and they now even have power in the center with former Gujarat CM as the Prime Minister of India. This thing has put more pressure on BJP because it can't afford to lose Gujarat otherwise, they can't win the 2019 Loksabha election. Therefore, BJP has put all efforts to register a win in these elections and it does show that they are confidence enough to win again. However, this time many things are making situation hard for BJP in Gujarat. First thing is the aggressive approach taken by the Congress and its newly elected president Rahul Gandhi who is trying to please as many Gujaratis as he can. He even doesn't leave any temple in Gujarat where he didn't go. He also highlighted many of issues and problems faced by the Gujarati people and especially youth. Now how much this aggressive move will benefit Congress that only time will tell us. 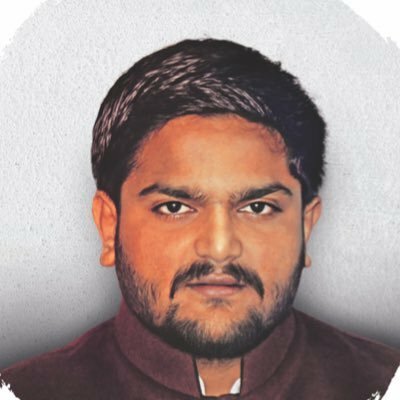 The other big hurdle for BJP is young Patidar leader Hardik Patel who is promoting against BJP and asking Patidars once loyal BJP voters to not vote for it. Hardik Patel rallies are able to attract the young crowd but the real effect of his campaign against BJP will be tested in the final results. BJP is also getting a challenge from young OBC and Dalit leaders like Alpesh Thakor and Jignesh. In the last assembly election, BJP has the vote share of appx 47% while Congress as appx 38% thus a difference of 9% which is a huge difference and resulted in 119 sears for BJP and only 57 seats for Congress. Now can Congress bridge the 9% vote share gap is to be seen on the 18th Dec when we will get the actual results? If we consider the earlier opinion polls then they were in the favor for BJP but they all indicated that Congress might improve. On 14th Dec, we will get the exit poll results after the second and final phase of elections are over in Gujarat. These exit poll results can provide some idea about the next winner of Gujarat Assembly election 2017. Will opinion poll results hold true for Himachal Pradesh? On 18th December, we will come to know that who will make next governments in the state of Himachal Pradesh and Gujarat. Himachal Pradesh polls have already been completed last month while one phase of elections is still pending in Gujarat. Today, I will talk about the assembly elections of Himachal. I also cast my vote for Baijnath assembly seat in Himachal Pradesh; therefore, I am excited to know who will emerge the winner in these elections. In Himachal, Congress was in the power and they ruled the state for five years. Now, its time for next winners to form a government. Will it be Congress again or this time BJP will win? If we go by the various opinions available with us then BJP is likely to emerge as the winner and it will make the next government in the state; however, we also need to consider that how reliable are opinion polls. In the past too many opinion polls have failed; therefore, we need to wait until 18 Dec 2017 to see who is the actual winner. BJP looks have put more efforts than Congress in Himachal Assembly election and many people make the observation from it that Congress has already accepted its defeat in Himachal. As compared to Himachal, Congress looks to have focused more on Gujarat where they feel that they have a chance. For the clarity, we need to wait for final results. 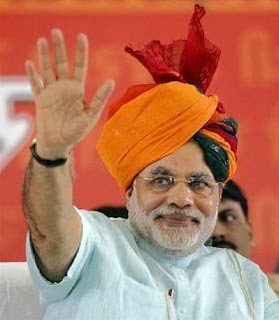 Will Congress be able to beat the popularity of Narendra Modi in Gujarat? This Gujarat Assembly election is special because, this time, we see a fight between Congress and BJP after a long time. In the earlier Assembly elections in Gujarat, it was just a cake walk for BJP and it doesn't surprise anyone. However, this time situation is slightly different as Congress with the support of three Young leaders Hardik Patel representing Patidars, Aplesh Thakor representing OBCs and Jignesh Mevani representing Dalits, is expecting to make big changes in Gujarat. Congress alone is not that effective in Gujarat but with some support, it can make a dent in the BJP's stronghold. The good thing for Congress is that it is still the main rival political party in Gujarat with more than 38.9% vote share (Last assembly election figures); therefore with some support, it can increase its own assembly seats while cutting the seats of BJP. If Congress succeeds in bridging the gap of votes between Congress and BJP with the help of Patidars, Muslims, OBCs, and Dalits, then Congress can put a good show in the final results of 2017 Gujarat Assembly elections. But the big question is that will people of Gujarat support someone else than Narendra Modi who has put Gujarat on the world map. The main key factor for BJP in Gujarat is its Gujarati Prime Minister and I think that every Gujarati feels proud of about it. Therefore, it is quite hard for Congress to win over the huge popularity of Narendra Modi. Due to this reason, many political observers and opinion polls are predicting that Congress might strengthen it position but BJP is likely to win a majority in the Gujarat. But, if anyhow BJP loses these elections then it will also be an alarm bell for BJP for the 2019 Loksabha election. 2017 Gujarat Assembly election will also test what people in Gujarat thinks about the decision taken by Narendra Modi as a prime minister for India. To know the answers, we can wait until 18th Dec 2017 when final results will come out and we will learn that magic of Narendra is still working in Gujarat or not. Many political observers have the view that Uttar Pradesh Assembly election 2017 is the rehearsal of 2019 Loksabha election. Therefore, we see all political parties making every effort to win the assembly election of Uttar Pradesh. For the last 20 years, the people of UP have seen the same fight between SP and BSP while BJP mostly in third place. This time, BJP has pushed it hard in the UP assembly election and all of its leaders, including Narindra Modi have addressed many poll campaigns in the state. In the last phase of UP assembly election, PM and his cabinet remain present at Baranasi for straight three days. The main fight in UP is between BSP, SP-Congress combine and BJP. All these political parties have done everything to attract the voters of UP. However, only on 11th March, we will come to know that who will make next government in the state. Today, we will get results of all the exit polls and this will give us some clue about who is winning. Here are the Final exit poll results for the recently held Uttar Pradesh (UP) Assembly election 2017. 1) BSP likely to remain at the third place in UP Assembly election 2017. 2) There is a neck to neck fight between SP-Congress combine and BJP in UP. 3) Most of Exit polls have predicted BJP will emerge as single largest party in UP (Two are predicting complete majority of BJP) and SP is the second largest party. 4) UP may see a hung assembly after the final results. On 11th March, we will know exactly who will win in Uttar Pradesh and does exit poll predictions are right. If we go by the exit poll results, then BJP is likely to make the next government in UP; however, exit poll results have also failed in the past so we need to wait for sometime to see the real results. Now, it is the time for final exit poll results for the recently held Punjab Assembly election 2017. 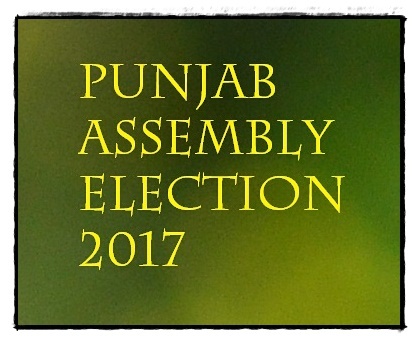 The Punjab Assembly election 2017 took place on 4th Feb, 2017. For the first time, Punjab sees a triple fight for assembly election; otherwise, it was only a two sided fight between Congress and Akali Dal. At present, Akali Dal and BJP alliance is in power in the state from the last ten years. Congress is looking for a comeback after 10 year and if it failed again, then Congress will be most of its ground in Punjab. New AAP is a new entry in Punjab politics and they look to be giving tough fight to both Congress and Akali-BJP combine. Today, it is the day of all exit polls and we will get to know who is ahead in Punjab as per the exit polls. At present all three political parties in Punjab admit that result can go in any direction because of the three directional fight. So far, old opinion polls before the Punjab Assembly election have predicted that the main fight is between AAP and Congress, while Akali Dal- BJP combine likely to remain at third position. Here are the Final exit poll results for the recently held Punjab Assembly election 2017. 1) Akali-BJP likely to lose miserably in these elections. 2) There is a neck to neck fight between AAP and Congress in Punjab. 3) Most of Exit polls have predicted win for Congress and other few have predicted win for AAP. Now it is to be seen that AAP or Congress, who actually becomes the final winner. Both Congress and AAP are very hopeful of winning the Punjab Assembly election 2017. One thing from these exit poll results is clear that AAP has become a strong force in Punjab. Yesterday, Gurmeet Ram Rahim Singh's Sacha Sauda finally announced its support for the Akali - BJP alliance in Punjab. In the last assembly election too it supported this alliance and it was one of the main factors of Akali-BJP win in the state. However, it is needed to be seen that Dera Sacha Sauda support will work again for Akali-BJP combine or not because Akali-BJP combine is facing 10 years of incumbency. 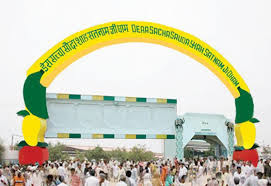 Moreover, Alakli-BJP combine has also come under attack from Sikh organizations who are against Dera Sacha Sauda's Gurmeet Ram Rahim for his controversial act. Though, Akali Dal tried last year to create peace between Dera Sacha Sauda and various Sikh Organization, however, these talks failed. Therefore, if Akali-BJP combine gets vote of Dera followers on the one side, then they are also on the edge of losing the votes of many followers of Sikh organizations who are against Dera Sacha Sauda. Overall, it is difficult to tell that this move will help Akali-BJP combine or create problems for them. On 11th March, we will get to know about it. Recently, In the article Who will win 2017 Uttar Pradesh Assembly Election? We discussed about the various possibilities in the Uttar Pradesh Assembly elections for all political parties and alliances. This time, Uttar Pradesh will see a main fight between the Congress-SP combine, BJP and BSP. Samajwadi Party will like to retain the power of UP again with the help of Congress while BJP wants to repeat the success of 2014 Loksabha election. BSP is also looking to come back to power after a gap of five years. In Uttar Pradesh assembly election 2017, we will see tough fight at all assembly seats and some of the seats will have tough triangular fight. In a triangular, it is difficult to predict the exact results so we are getting conflicting survey results on the Uttar Pradesh. Some opinion polls are putting BJP ahead while others have given the Congress-SP an edge over others. Whole all the surveys are clear on third position of BSP. If we go by these exit and opinion polls by various news agencies then it looks that there is tough fight between BJP and Congress-SP alliance while BSP may remain at third place. More, most of election surveys are pointing at hung assembly with winning alliance or party may get between 175-185 seats. However, the opinion polls have gone wrong many times, we can get the exact results on 11th March, 2017 only. In the last post, Who will win 2017 Punjab Assembly Election 2? We discussed about the various possibilities which can take shape. This time, we will see a straight fight between BJP-Akali Dal Combine, Congress and AAP. After many years, Punjab will see a triangular fight in the assembly elections. All three political parties and alliances are making claims of their win in the upcoming assembly elections, however, we all know that it is not going to be easy for any party or alliance. All the parties have put their whole energy in the election battle so that they can win this election. AAP's Delhi CM Arvind Kejriwal is in Punjab to promote his party and his party is going door to door in the Malwa belt of the Punjab because maximum numbers of seats come from this region. Congress, which is otherwise hopeful of win is also worried about the increasing influence of AAP and they know that AAP can play a role of game spoiler for Congress. Meanwhile, we do also have many election polls and survey results in front of us from media houses. Most of these surveys are pointing one thing clearly that Congress is more likely to emerge as single largest party in the state or win an absolute majority. However, there is also the contradiction in these surveys because some surveys are showing that AAP and BJP-Akali Dal as winners. However, if we combine all the surveys, then the results may go this way. Congress at first position, AAP at second and BJP-Akali Dal at third. But, it is common that results may come different than the surveys so we can wait till 11th March, 2017 to know the exact results. In the previous article "Who will win Punjab Assembly election 2017", I discussed options which were present last year. In the last six months, many things have changed and Punjab Assembly election 2017 are going for a tough battle between Congress, BJP-Akali Dal combine and AAP. All three parties/alliances are doing all things to attract the voters of Punjab. However, still today no one is perfectly sure that who will make next government in the state. Today, many election surveys and opinion polls are present in front of us; however, all of them are giving contradictory results. Some surveys are predicting that Akali Dal-BJP alliance will once again make next government, while others are predicting that Congress will be a single largest political party in Punjab after the 2017 Assembly election. While some other surveys and internal surveys of AAP are saying that AAP is going to win 100 plus assembly seats in Punjab. Therefore, we can say that picture about who will 2017 Punjab assembly election is still not clear and we will get the final results only on 11th March 2017. Punjab Assembly has 117 seats and any political party needs to win 59 assembly seats to make next government in the state. BJP-Akali Dal is trying hard to win the 2017 assembly election so that they can retain the power for the third time; however, this alliance needs to face strong incumbency factor to win votes. Moreover, there are many segments of people unhappy with the SAD and BJP on numbers of issues like illegal mining, drug misuse, corruption and religious matters. Congress is emerging as a strong contender; however, they lost the last assembly elections to Akali Dal-BJP. Congress is facing double competition from BJP-Akali Dal and AAP. This is for the first time when Punjab is a seeing a three party strong contest; therefore, most of the political observers are keeping their mouths shut. It is quite difficult to predict the exact results when there is a three side contest and all sides are strong. However, one thing comes out clearly that Congress has strong chances of emerging single largest political party in the assembly election. AAP is giving a strong fight in Punjab and it is likely to win few assembly seats; however, a major difficulty with AAP is that it is not strong in assembly seats of Punjab. AAP is quite strong in the Malwa region of Punjab; however, in other regions, it may not be in the winning position. However, it is quite difficult to get the exact trend because of a tough contest. We can wait till 11th March to see who will win and who will lose. 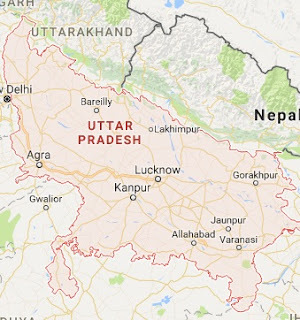 Uttar Pradesh is one of the most important states of India when we talk about the Indian political influence because this state has maximum numbers of Loksabha seats. Present, BJP government was only able to make government at the center because it won 71 Loksabha seats out of 80 seats in UP. Without this huge success, it was near to impossible for BJP to make a government at the center on its own. Again the whole atmosphere in UP is political because of the 2017 Assembly elections. These elections will decide who will become the next CM of UP. Last 2012 Assembly elections in UP were won by Samajwadi Party (SP) by winning 224 assembly seats out of 403. In this election, BJP won 46 seats, BSP 80 seats and Congress 28 seats. In the 2012 assembly election, SP snatched power from BSP which was ruling the state for past 5 years. This time, the main fight in UP is between SP-Congress alliance, BJP and BSP. Just before the election, SP party joined hands with Congress and they are fight 298 and 105 seats respectively. Samajwadi Party, which enjoys a strong base among Muslim and Yadav voters. This time again SP is depending on the same strategy. SP- Congress alliance is likely to consolidate Muslim voters and increase penetration among Dalit voters. Many latest political surveys suggest that SP-Congress alliance may get maximum vote share in UP from 30-36%. Samajwadi Party was also in the news because of its internal crisis between father-son Mulayam Singh and Akhilesh Yadav. Mulayam Singh Yadav is slightly unhappy with many outcomes like SP's alliance with Congress; however, most of the party looks to be with Akhilesh Yadav. Second biggest challenger for SP-Congress alliance is the BJP, which showed an exceptional performance in 2014 Loksabha elections by winning more than 70 seats out of 80 in UP. If the people of UP vote similarly, then no one can stop BJP from winning Uttar Pradesh Assembly election. However, things have quite changed since and some segments of people were unhappy with few policies of BJP's government at the Centre. Also SP has joined hands with Congress and their vote share is likely to increase. BJP mainly depends on the votes of upper castes and OBC voters. Third contender is BSP which will like to win this election so that they can return to power after 5 years. However, their path to success doesn't look so easy because to win this election BSP needs support of either Brahmins or Muslim voters which looks difficult at present. In this three cornered contest, it is quite hard to predict the final outcome because a slight shift in vote shares can make a big difference. Different election surveys are giving different pictures; however, most of them are clear one thing that the main fight in UP will be between SP-Congress alliance and BJP. For the final results of UP Assembly election 2017, we need to wait till 11th March 2017. The biggest question in the mind of people of India is that who will win Uttar Pradesh Assembly election of 2017 because this assembly election in one of the biggest states in India will decide many new political outcomes. Not only, UP is one of biggest and most populous state of India; however, it is also one of the highly politicized state of India with many strong political parties in the state. Earlier Today, Election commission (EC) announced the dates of coming 2017 Assembly elections in the state of Uttar Pradesh. Present Uttar Pradesh assembly is going to expire on 27.05.2017; therefore, it was necessary for the Election Commission to conduct these elections before this date. Assembly Elections in the state of Goa, Manipur, Punjab, Uttar Pradesh and Uttarakhand will be conducted together. There are total 403 Assembly seats in Manipur and out of which 85 is reserved for Scheduled Castes (SC). Due to the large numbers of Assembly seats and tense situation at numbers of places, UP assembly election 2017 will take place in seven phases. As per the latest electoral rolls, the total population of voters in Uttar Pradesh is 138517026. Photo electoral rolls are mandatory for voting in these elections. Like earlier elections, Electronic Voting Machines (EVMs) will be used for Uttar PRadesh Assembly Election 2017. Elections in Uttar Pradesh will be completed with the help of 128112 polling stations spread across Uttar Pradesh. More than 99.70% voters in UP have Electoral Photo Identity Cards (EPIC). The election commission has introduced toll free number 1950 for registering complains related to Election. Utter Pradesh Assembly Election 2017 will take place in seven phases.